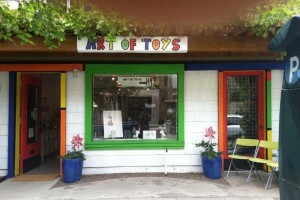 About Art Of Toys, we are a gallery and toy gift store located at 1126 18th Street Sacramento, CA 95811. The art are toys and the toys are art. The curator of the toy gallery, Terri, has been in the toy and then art business since 1982 and has used her past career experience to design a gallery space for the toy artist and toymaker to showcase their work.